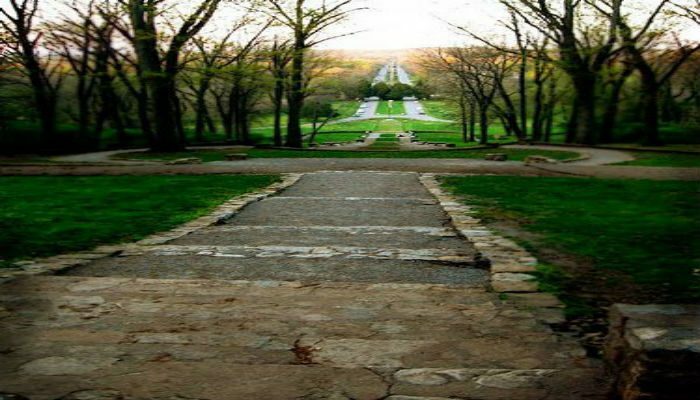 Percy Warner and Edwin Warner Park are collectively known as Warner Parks. They are located 30 minutes south of downtown. The Warner Parks are the largest municipally administered parks in Tennessee and together span 2684 acres of forest and field. The historic entrance is marked by “The Allee”, an impressive set of stone steps. There are numerous trails of various distance and difficulty options. However, be prepared, these parks are known for their hills. If you’re up for a challenge, head up to the top of the hill in Percy Warner Park and enjoy views of the Nashville skyline. Rather than proscribe a specific route, we’ve included a link to the park trail maps. For a trail run, try the 4.5 mile Mossy Ridge Trail loop, which has rolling hills, great views, and a good surface. Many other opportunities for add-ons.